According to the researchers—Bettina Sorger, Joel Reithler, Brigitte Dahmen, Rainer Goebel at Universiteit Maastricht's Faculty of Psychology & Neuroscience Department of Neurocognition—this is the first system that translates thoughts into letters in real time, allowing "back-and-forth communication within a single scanning session." Sorger and her colleagues—who were inspired by the work of Adrian Owen—claim that this new system requires very little effort to setup, becoming "immediately operational." They also say that it has a high application potential "both in terms of diagnostics and establishing short-term communication with nonresponsive and severely motor-impaired patients." 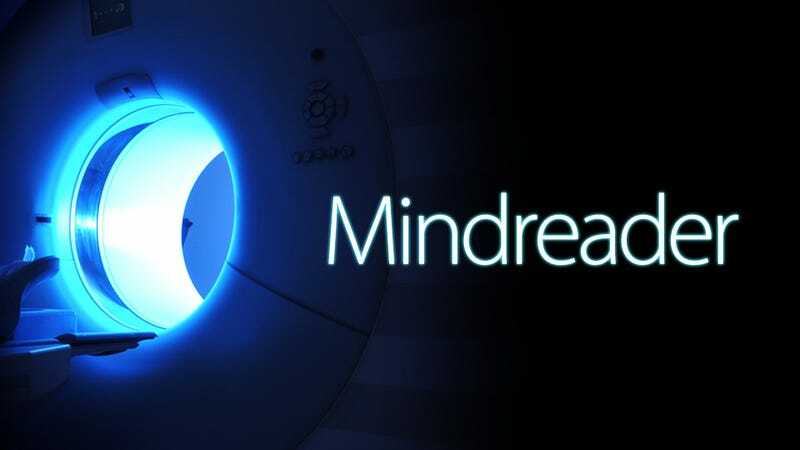 Their brain typing system uses functional magnetic resonance imaging (fMRI) to analyze the hemodynamic responses in the brain—the movement of blood inside our gray matter. These responses are caused by mental images that get tied to each letter of the alphabet using computer analysis algorithms. Once the computer is up and running, the patient can freely type letters, one after the other, using their brain. Each alphabet letter corresponds to one of 27 "reliable and differentiable single-trial fMRI signals." According to their paper, which has been published in the June 28th edition of the journal Current Biology, their system has been successfully tried in patients. To set it up, patients looked at the letters on a screen, thinking about something for an specific amount time. After going through all the letters, they would be able to immediately start typing in real time, thanks to the new data analysis methods developed by Sorger and her team. Obviously, the decoding is not as fast typing with your fingers, but it's a gigantic step towards achieving a natural brain to machine interface. This has the potential of changing the way we interact with technology in a dramatic way.